Have you been wondering where I am? 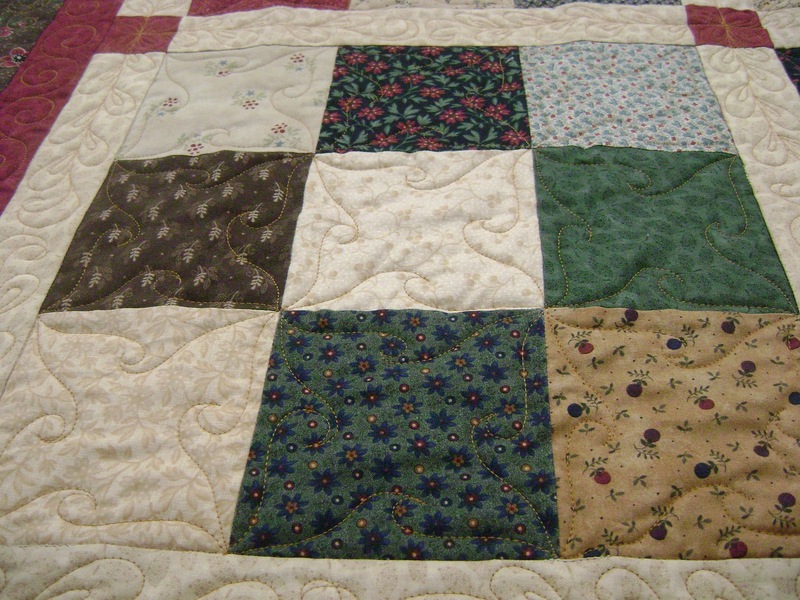 Well, it just happen that this week is full of quilts that must be done right away. This is the first of 4. 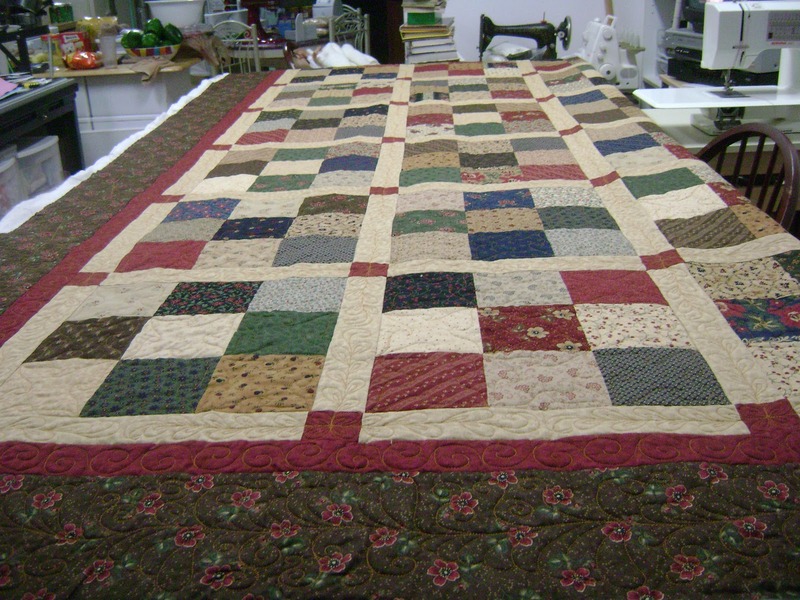 This quilt just barely fit onto the machine. It hangs way off the other end of the intake table. 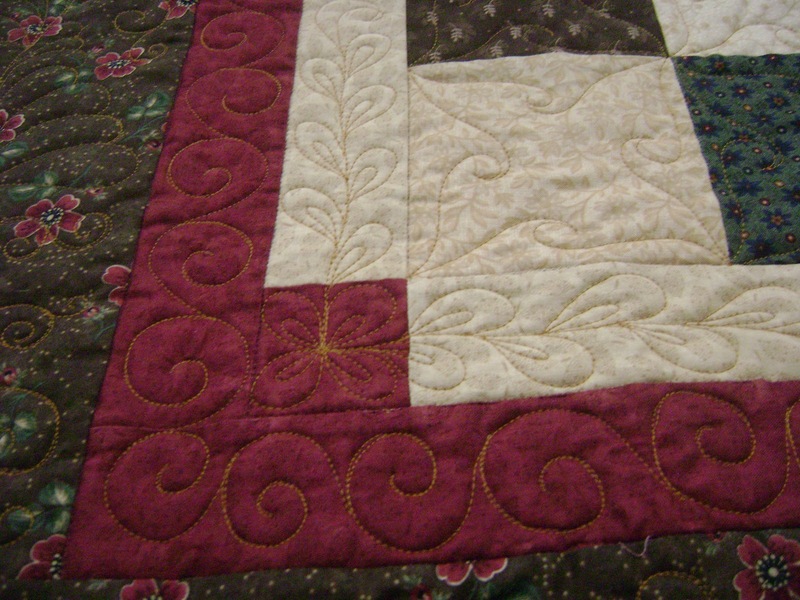 I did a leafy design on the sashing and line dancing on the pieced squares. A closer look at the line dancing. 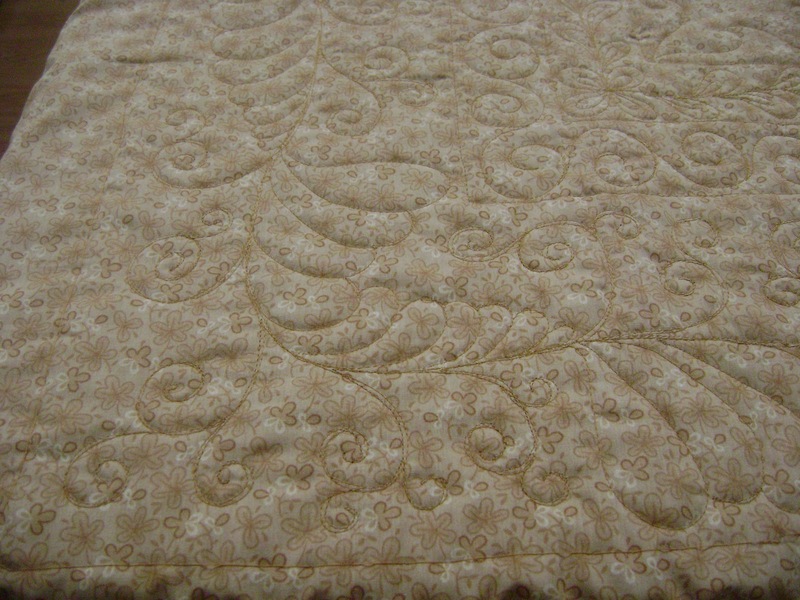 I did an alternating feather design on the border. It’s a feather on one side with curls on the other. Then the design reverses with the feather on the other side. I did curls on the inside border. 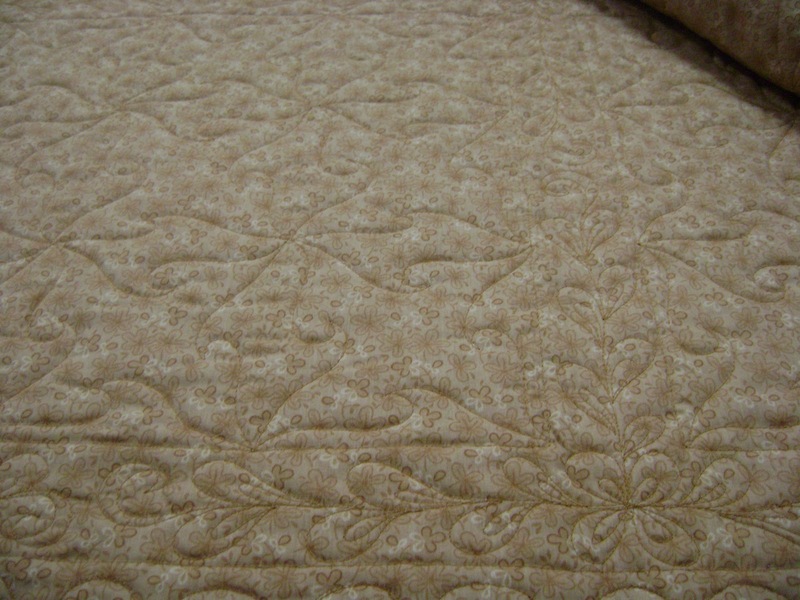 Here’s a look at the outside border design from the back. 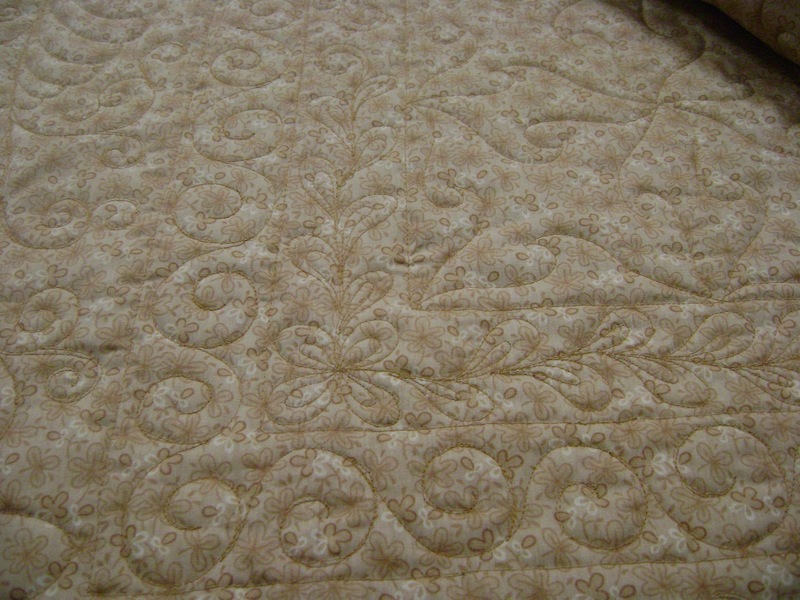 Here is the inside border, the sashing, and some of the line dancing from the back. Another look at the back. 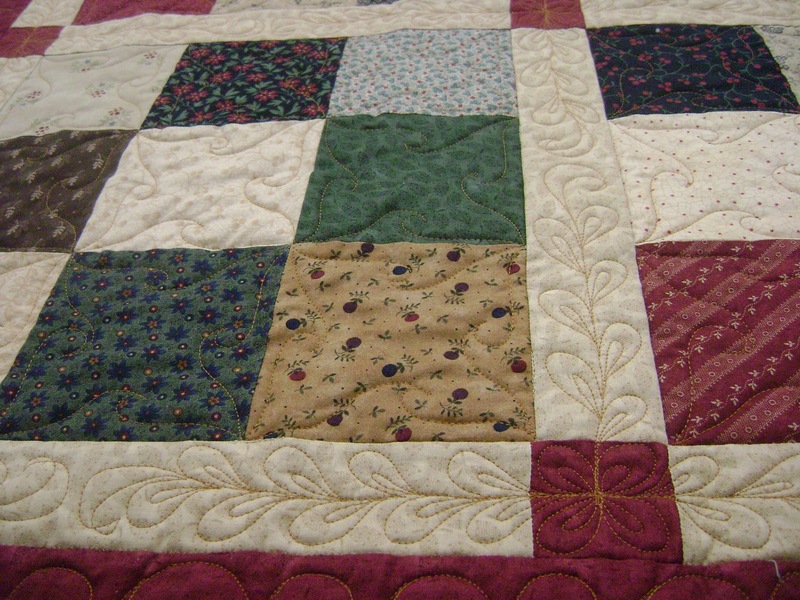 Instead of sitting at the computer type-talking today, I’m headed back into the studio to work on the other three deadline quilts. 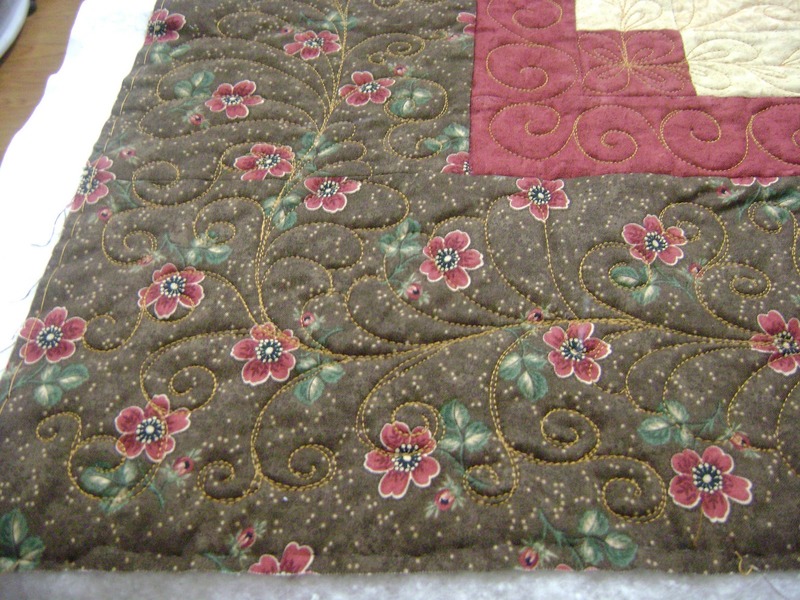 This entry was posted on January 20, 2011 by Anita in Quilts of 2011.